Outrage in Britain, disbelief in the supermarkets; tubs of Celebrations, Quality Street and Roses have shrunk, but their prices have stayed the same. This is the worst thing to have happened since the Freddo fiasco. Seeing a big, inviting tub filled with shining chocolate wrappers is a staple part of the Christmas season in my home, and it’s never long before we’re literally scraping the barrel to find the few good ones which remain. While the chocolates are never around for long, over time they’ve lasted a shorter and shorter amount of time, and that’s not just because me and my family members have become more greedy. 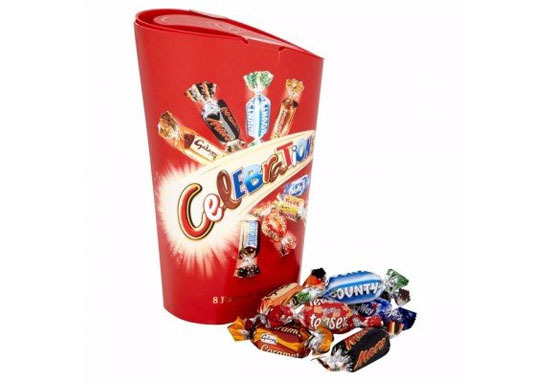 According to the Metro, in the last ten years Roses and Quality Street tins have decreased in size by 40 per cent, while Celebrations have shrunk by a third. Celebrations should just change their name to ‘Disappointments’ at this rate. 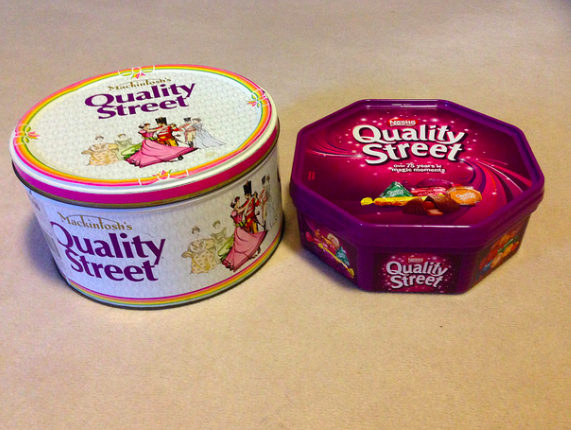 The latest decrease saw tubs of Quality Streets go from 750g to 720g, while Celebrations have gone from 680g to 650g. Though this is only a difference of about three chocolates, it’s the principle of the matter which is important. They’ve probably taken out three of the best chocolates as well, making the ratio of Teasers to Bountys worse than ever before. Despite removing some of the chocolatey goodness inside, the price of the tubs has remained at £5. The people behind the pricing are probably laughing at the success of their diabolical plan as us hungry, naive fools continue to pay full price for a smaller quantity of treats. Thankfully Robert Opie, from the Museum of Brands, has spoken on behalf of the people, warning the manufacturers of the riots which will almost certainly take place if this kind of treachery continues. Consumers are outraged by shrinkflation. These brands are trusted — we have grown up with them. They are part of our lives and particularly part of the tradition at Christmas. You change the weight [of boxed sweets] at your peril. Part of the tradition is that you pass around the tub among your family. And suddenly now you find it has been emptied quicker than you thought. Then the grumbling starts. If the manufacturers carry on doing it they’re going to risk riots in the streets. Mars, Mondelez and Nestlé came up with some feeble responses to the outrage, though I’m not buying their excuses. What with all the chocolate which flies off Britain’s shelves I’m sure they can afford to throw in three extra chocolates without too much fuss. We have had to make the difficult decision to reduce the weight of our Celebrations tub so [it] continues to be an affordable festive treat. Like all food manufacturers we sometimes have to make changes to ensure that people can continue to buy their favourite chocolate brands at affordable prices. This year’s tub of Quality Street is 720g, which is slightly lighter than in 2017. Nevertheless our tub is very competitive when compared to similar products on the market. Despicable. Though let’s be honest, we’ll probably all still buy them.